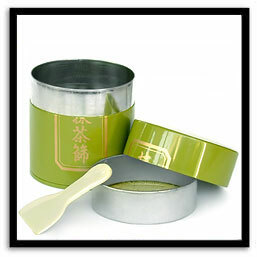 For best results when preparing matcha, it is recomended that the tea powder be sifted before whisking. 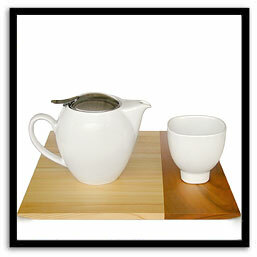 This attractive set includes a covered tea canister, screen insert and paddle for a rich, smooth bowl of tea every time. 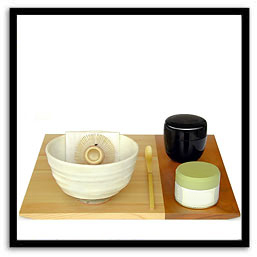 We have assembled a deluxe set of everything you'll need to begin practicing chanoyu - the Japanese tea ceremony: a handmade Hagi-style teabowl, linen wiping cloth, bamboo tea whisk, bamboo tea scoop, lacquer tea holder, 20g can of premium matcha and hinoki tea tray. Dowel-joined cherry and hinoki wood tea tray.